Merapi, the most active volcano in the world. Merapi is not only just to save a million mysteries, more than that, Merapi has the exotica, romance, historical, until catastrophe. Mountain located on the border of the district’s four companions can be symbolized as central, four regions with a peak ceiling pole. The fourth area is Magelang, Boyolali, Klaten, and Sleman. As for that central itself is the peak of Merapi. Merapi to the surrounding community is a blessing of God. Fertility of the soil, the air cool, the natural beauty of the landscape, including ash, dust, sand, small gravel, gravel, big gravel, and the rock is very useful in supporting human life. Merapi is a man’s best friend as well as a means for God to give you all an abundance of generosity. With all the Merapi’s potency , the community is not going to feel the lack of the need for food, clothing, and shelter. Merapi is a way for people to take refuge in the tranquility, serenity, peace, and prosperity of life. As a natural gift of the grace of the Almighty, Merapi save a lot of mysteries that science will never run for excavated by mankind. Hundreds of thousands of scientists continue to monitor and observe the motion of breath and signs of nature are expressed by Merapi to be a source of information and new knowledge for human advantage. Exotic beauty of Merapi also has invited thousands of people to hike and enjoy the height of the peak of Merapi to the scenery incredible. Merapi is the symbol of God’s mighty power. If the climber must hold a relatively special preparation to reach the peak of Merapi, the generic people can enjoy the natural beauty around the slopes of Merapi through several points of observation objects which now even has developed into a very attractive tourist area. One of the attractions is Mount Merapi observation Sights Ketep Pass, in Ketep village, sub district of Sawangan, Magelang District. 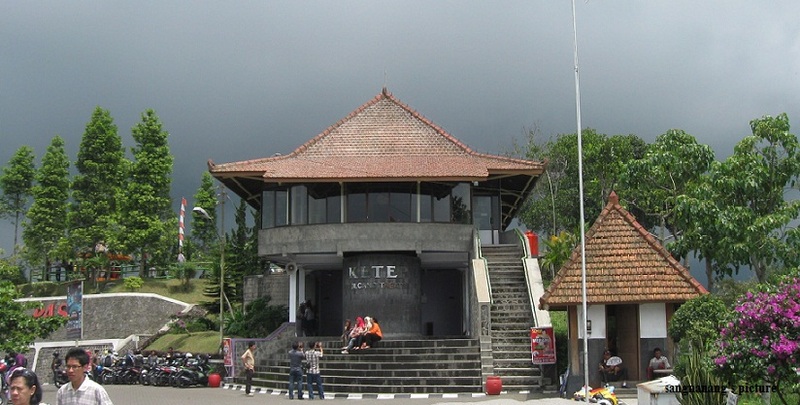 Ketep Pass can be reached easily through access to a very smooth paved road. If you come from the direction of Yogyakarta through Magelang-Yogyakarta Km.30 Road, after passing through in front of the paper plant of PN Blabak, take the right after the first turn around the Blabak market. The distance between Blabak to Ketep Pass about 16 km. Along this path, we will be treated to views of rice fields and villages feel life is still very beautiful and the impression of coolness and tranquility of life. 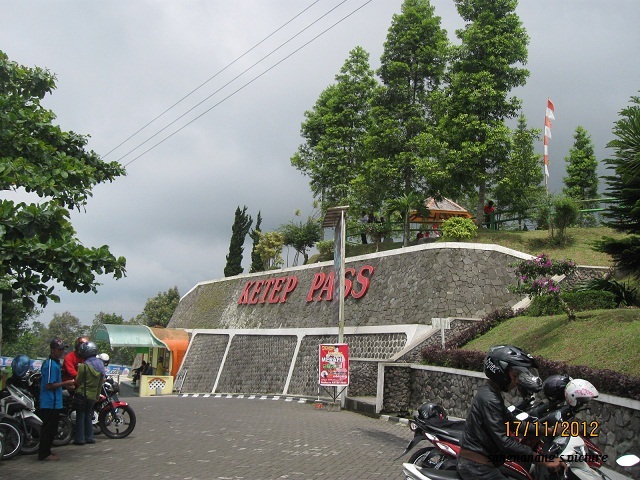 After undergoing several steep climbs after three junction of Tlatar, visitors will arrive at the gate Sights Ketep Pass, located on the right side of the road. 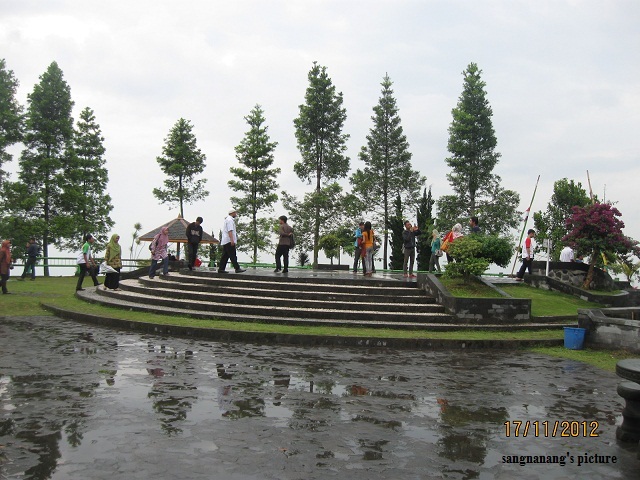 To enter the area Ketep Pass visitor admission charges only Rp. 7000, – two-wheeled vehicle with a parking fee Rp. 2000, -. Anything that can be enjoyed by visitors in Ketep Pass? The main menu of Ketep Pass will presents panoramic beauty of Merapi mountain peaks with adjoining intimate mountaintop Merbabu. In an atmosphere of sunny weather, the peak of Merapi can be seen most clearly with different flow streams, as well as some of the top crater is composed of rocks from the results of Merapi volcanic activity. More exotic if the peak of Merapi seen at night in sunny day. Visitors can observe more clearly and beautifully glowing stream of lava creeping down from the crater following the paths that have been formed naturally. Panca Arga court is on top of all facilities, visitors can enjoy the splendor of the five mountain peaks as well. On the southeast side there is definitely the peak of Merapi. In the northeast appears Merbabu a fat peak and peak accompanied Andong and Telomoyo in the north. In far northwest side, it stand chippy challenging peak of Sumbing with its beautiful background of Sindoro. As in west side, it seems a little low in the mountain range Menoreh, the border of Central Java and Yogyakarta. Ketep Pass also comes with some perspective and gasibo substation. In view of the substation visitors can rent binoculars by Rp. 5.000, – fee for unlimited time. 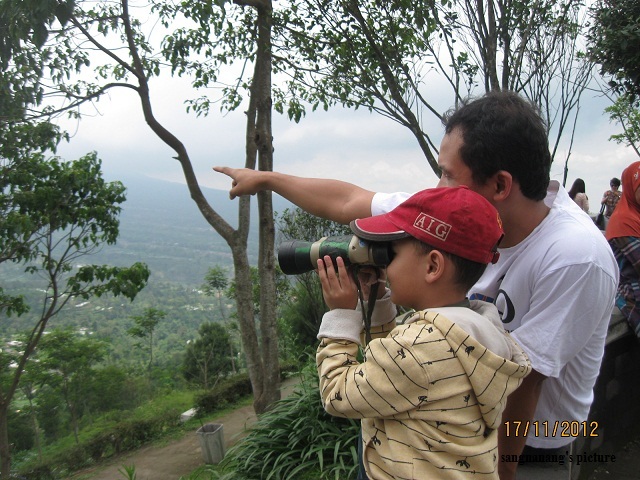 With the help of binoculars, visitors can observe in more detail and clearly the intricacies of Mount Merapi. Besides direct visual observation of the peak of Merapi, the visitors can gain knowledge through dioramas films screened at Merapi Volcano Theater every hour. The dioramas film depicts the geological activity and volcanologist of Merapi, complete with hazard risks and benefits of Mount Merapi. In addition, through the film, visitors can also determines the incident several eruptions of Merapi eruption claiming many treasures and objects as in the Merapi eruption last in 2010. In addition to the film through dioramas, knowledge of Merapi also be explored through the Geological Museum of Merapi, which is located just below the Panca Arga court. Down the stairs, followed by treading the circular path, visitors are offered a miniature Mount Merapi as a landscape map complete with groove profiles rivers that flow from the top, until some point of Mount Merapi’s observation post located in Babadan, Ngepos, Plawangan, until Ndeles. After that, on either side of the hall, visitors can observe the pictures and information about the origin of natural phenomena that give rise to the formation of a volcano. Next will appear the background scenery Garuda peak, it is the highest point of Mount Merapi (2,968 m asl). In here many visitors allways takes pictures with the background peak Garuda, as if they actually climb Merapi to its conclusion at the top of Garuda. The collection of Merapi Geology Museum fuller longer by displaying some photos of the beauty of Merapi, to the side that had caused havoc. Some of the photos depict Merapi disaster relief efforts carried out in 1954 featuring characters from President Sukarno, Hatta, and Sri Sultan HB IX. It appears also in one corner, a photo showing the figure Mbah Marto, as the first observer for Mount Merapi. The latest collection of photographs illustrates the magnitude of the event of Merapi eruption in 2010 ago. 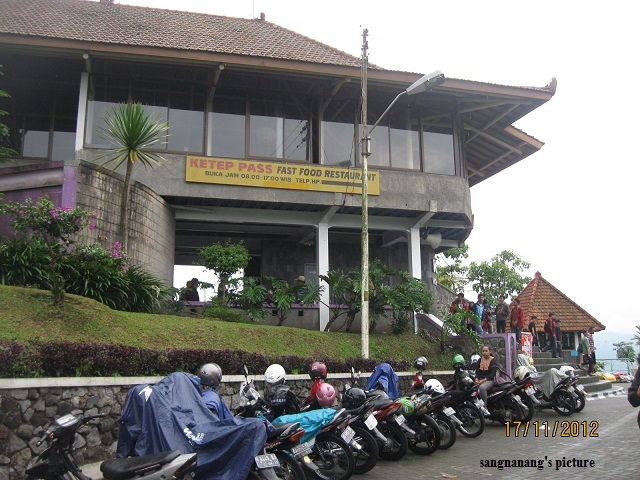 Some supporting facilities in Sights Ketep Pass, such parking area for two-wheeled vehicles or four wheel very adequate, clean toilets and a mosque were well maintained, took Ketep’s souvenirs, some canteens to food stalls can be found very easily. 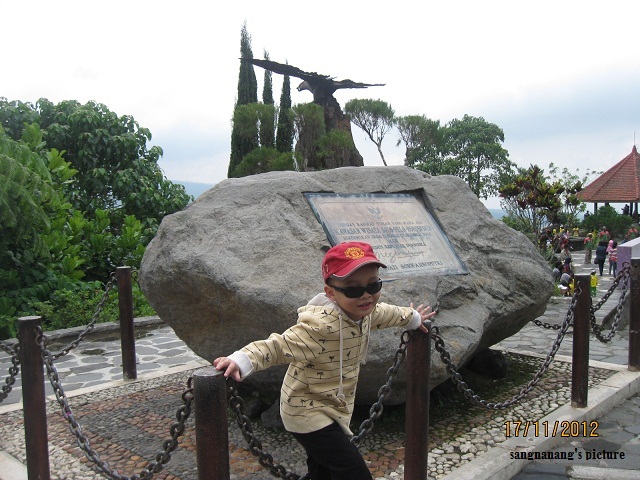 There are also a means of games for children, ranging from swing, to outbound area and flying fox. 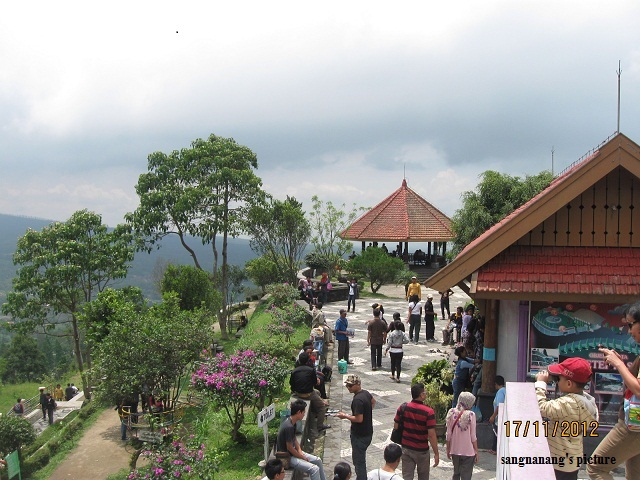 In addition, Ketep Pass also provides a means for the marquee event was a meeting or gathering for a group of visitors who deliberately wanted to hold the event at the site. The cold atmosphere of Mount Merapi be more fully enjoyed with a fresh dish of roasted corn and drinks legen (the extract of sugar) typical teasing. Visitors can also choose menu of meatballs, chicken noodle, fried noodles, sego pecel (java salad), and nasi rames (white rice). Guaranteed refugees will feel full, at super cheap prices! You’ve never been to Ketep Pass? Please stop by and see for its excotic by yourself .